There are days when I know when I'm in for a good run and other days when I strongly consider other workouts. I wasn't feeling it this morning and my instinct was to explore options such as strength training, elliptical or core. 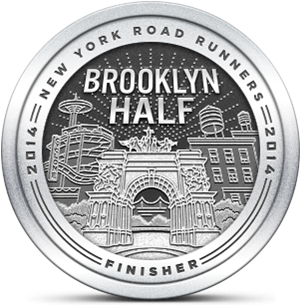 Rather than decide, I took the easier path and ran. Not that the running was easy. It was not. Yesterday's difficult run could be blamed on overdressing or overeating (or both). I had a decent night's sleep and chilly weather in the morning. Both are positive conditions for a good run. 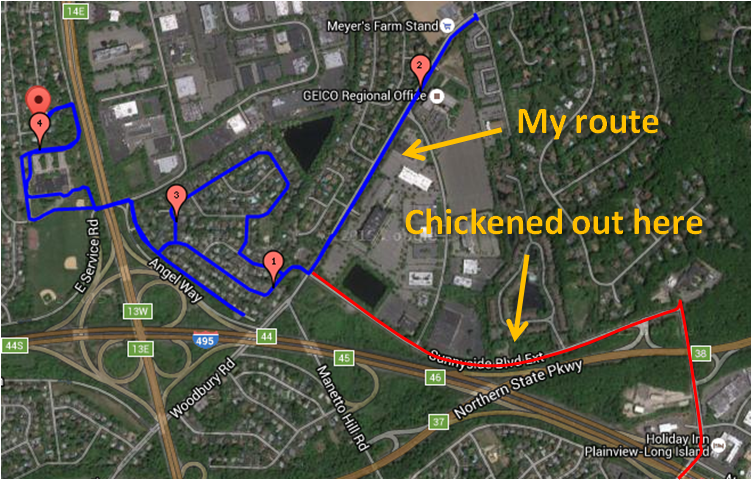 However, I lacked my usual energy and that accounted for a change in plans from my original route. 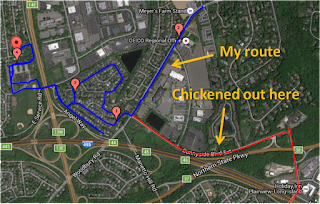 I was going to run to the top of the Bethpage bike trail at Woodbury Road and follow the path to the LIE overpass and back (red highlight on map). By the time I reached that road, I decided that I wasn't up for that long incline and elected to follow Woodbury Road to Meyers Farm and back. My run along Woodbury Road turned out to be harder than expected as the path was covered in a thick layer of leaves. Despite lacking energy, I was able to hang in for a couple more miles. Like yesterday, I was pretty worn out by the end. Not a great week for mileage, but I did manage to get in four workouts. I'm hoping I'll rebound by next weekend. A little warmer is welcome. I just need to match my running gear with the weather. I've done a poor job of that this season. I have gifts for you, Kin and A, we have to run again soon. :-) We should do a Runsketeer holiday run! That can work. Good luck with the exam. All you need to know is that the knee bone's connected to the...thigh bone.